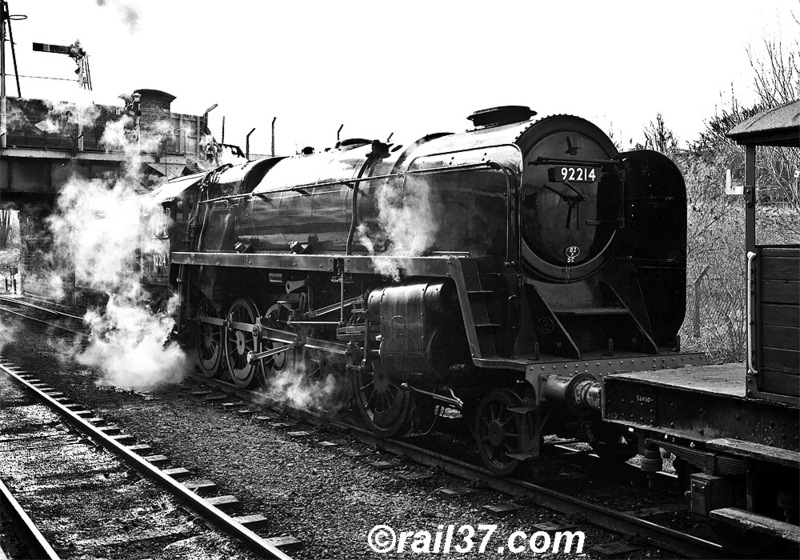 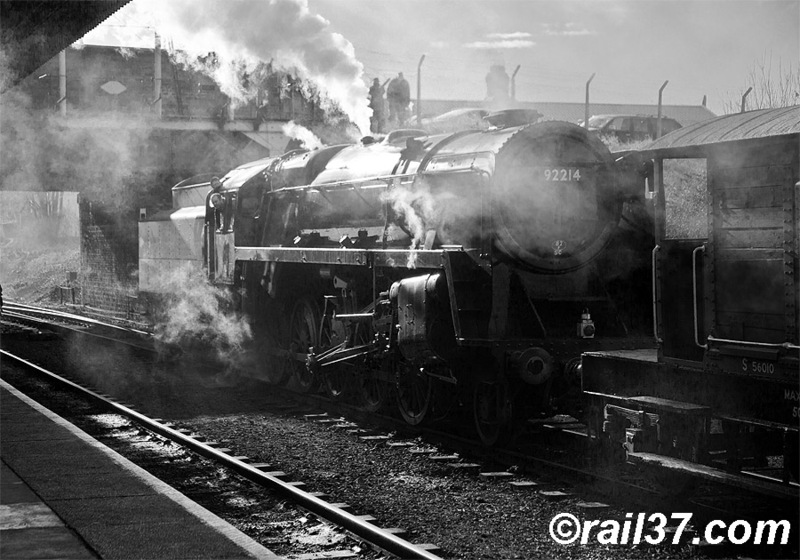 ,,,,,BR built to GWR design, 4-6-0 No.7820 "Dinmore Manor"
1501 was dropped off at Rothley and the Manor continued on to Leicester North, seen here running round the train. 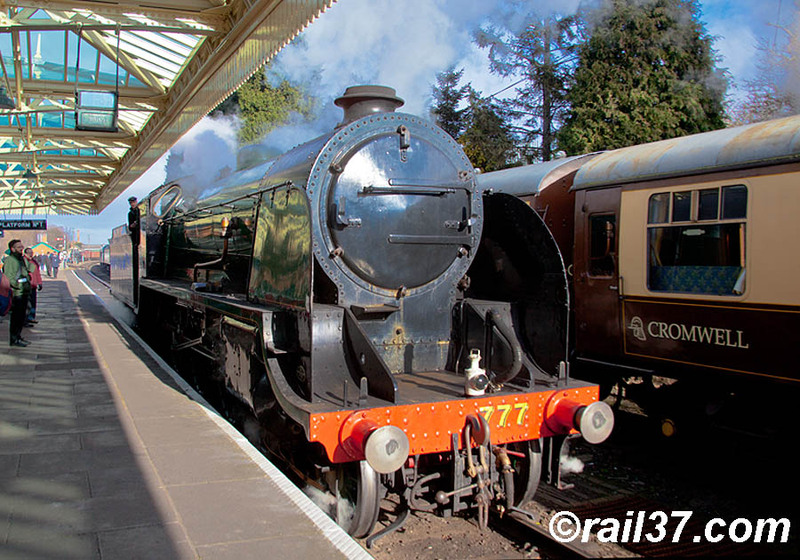 Back at Quorn to see 78019 bashing through the station on a mail-drop/pick-up demonstration train, note the collecting net hanging from the side of the mail coach. 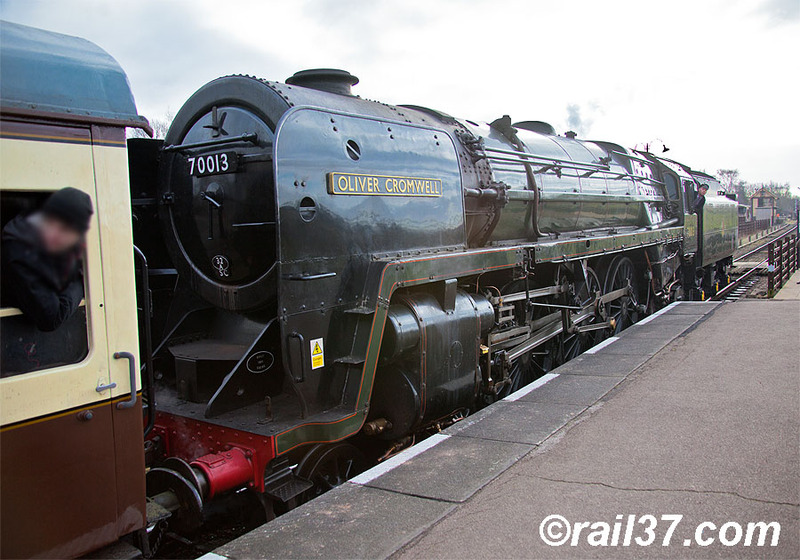 Next in was Britannia class 70013, "Oliver Cromwell". 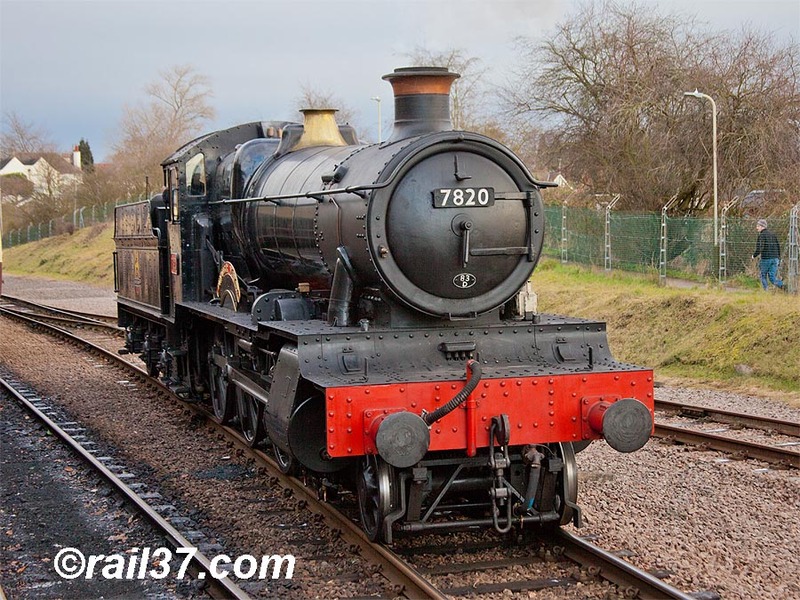 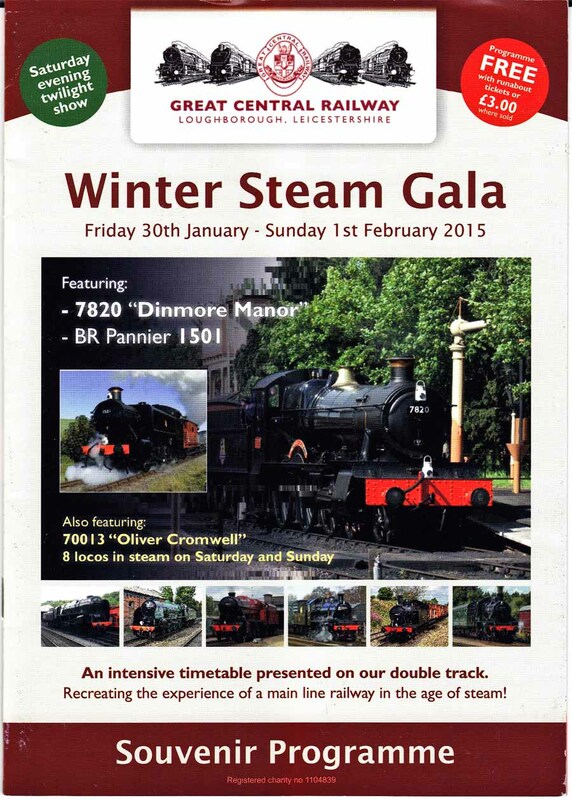 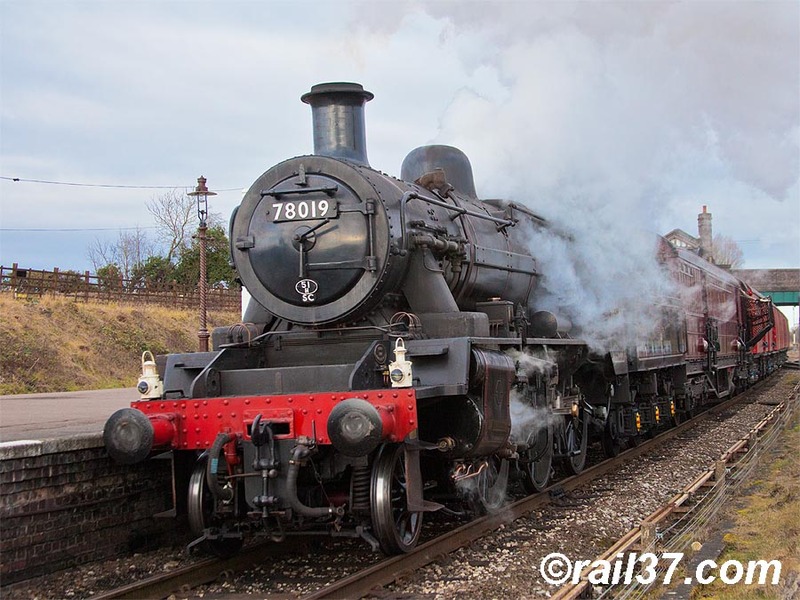 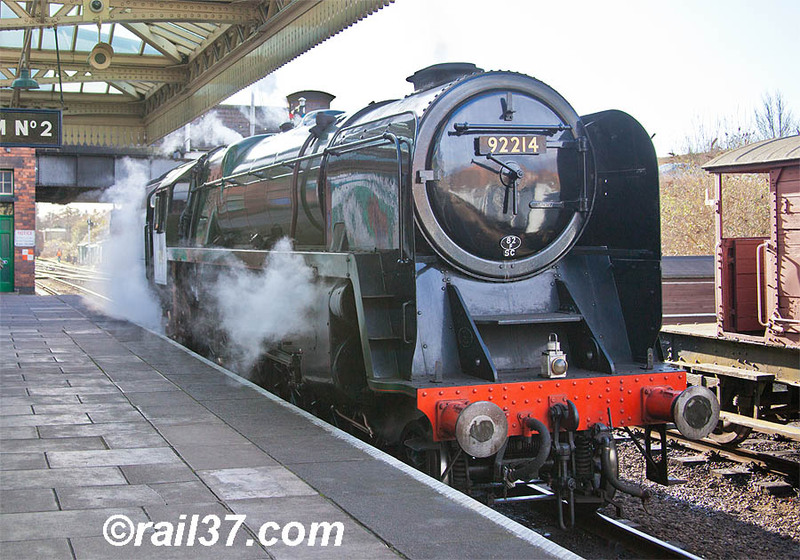 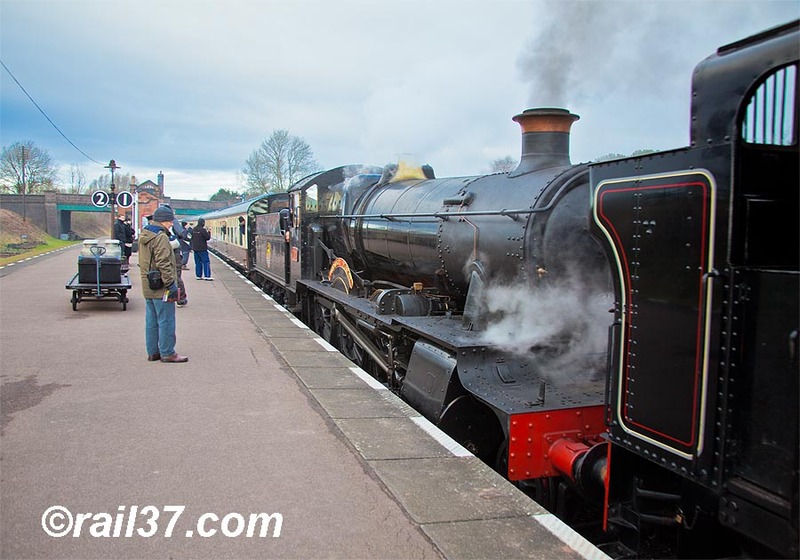 Followed by Southern class N15 4-6-0 No.777 "Sir Lamiel". 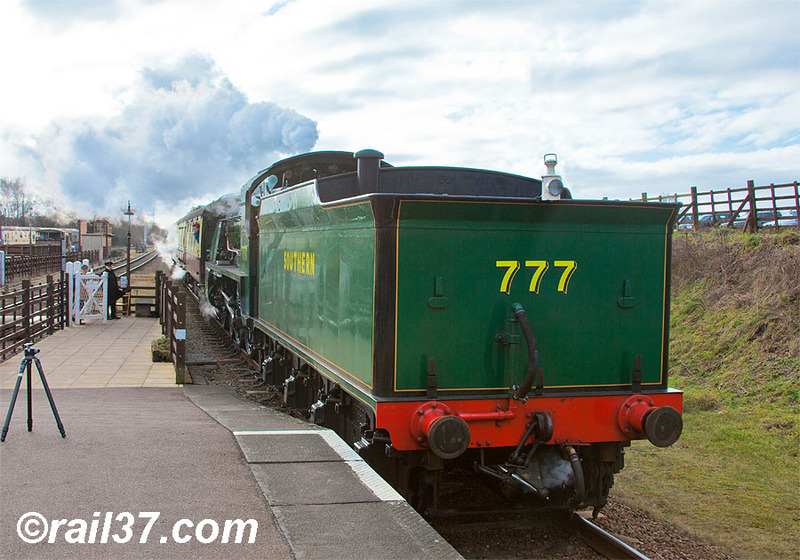 .....777 passed through having been serviced on the depot. 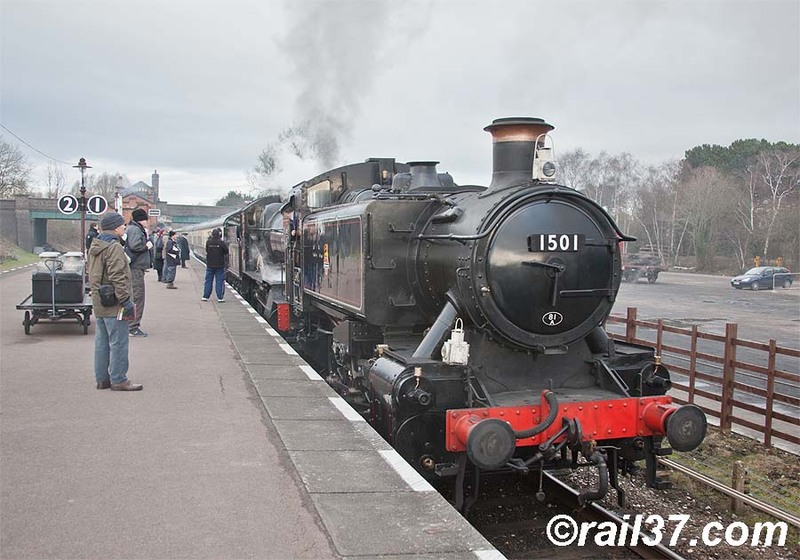 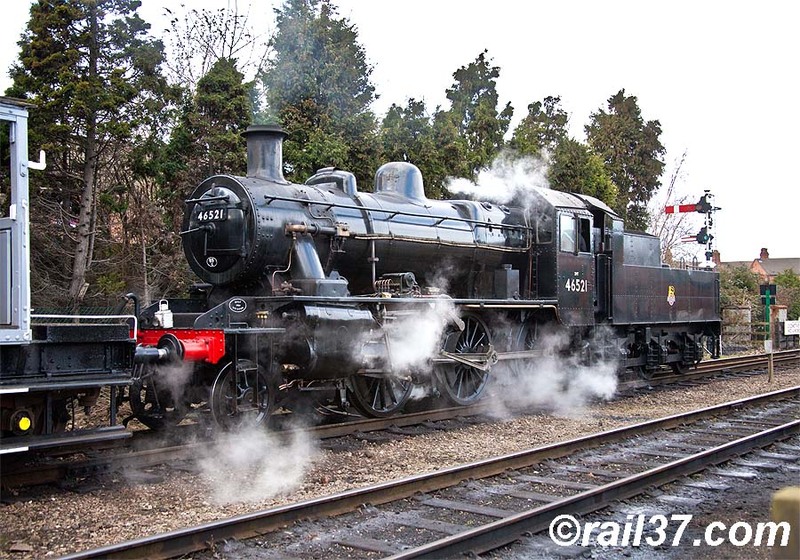 As the 9F moved away, Ivatt Class 2 Mogul No.46521 drew into the platform with a mixed freight. 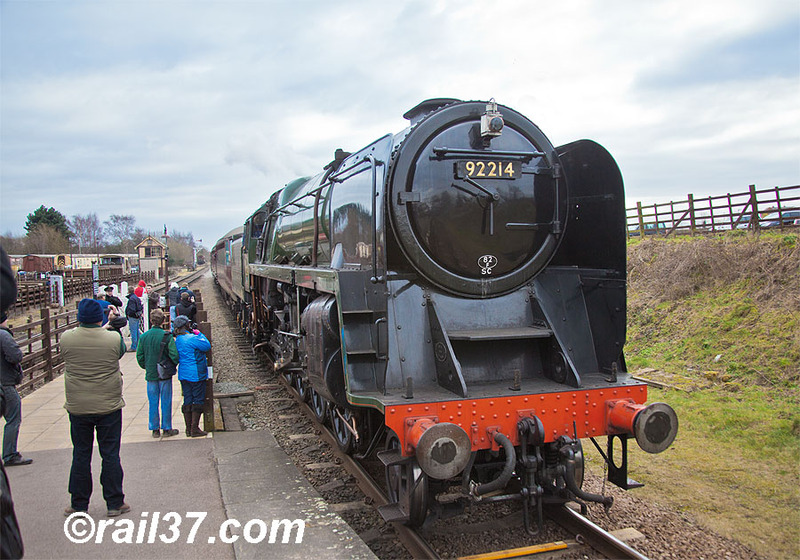 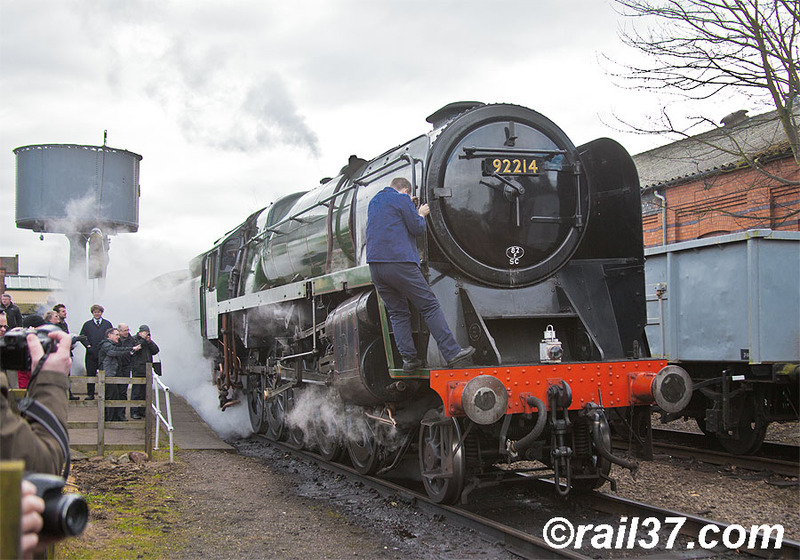 There can't be many places that you can see this sort of thing as 92214 draws forward onto the "Wincutter". 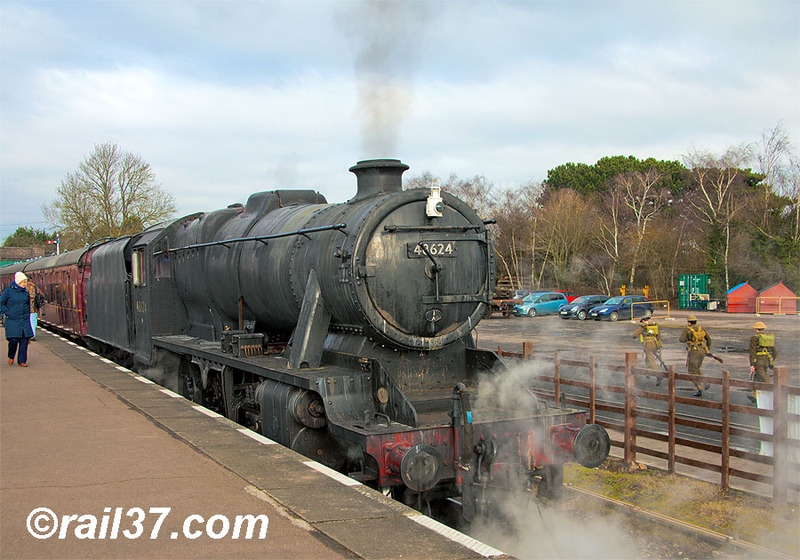 Back at Quorn as Stanier 8F No.48624 waits to depart. 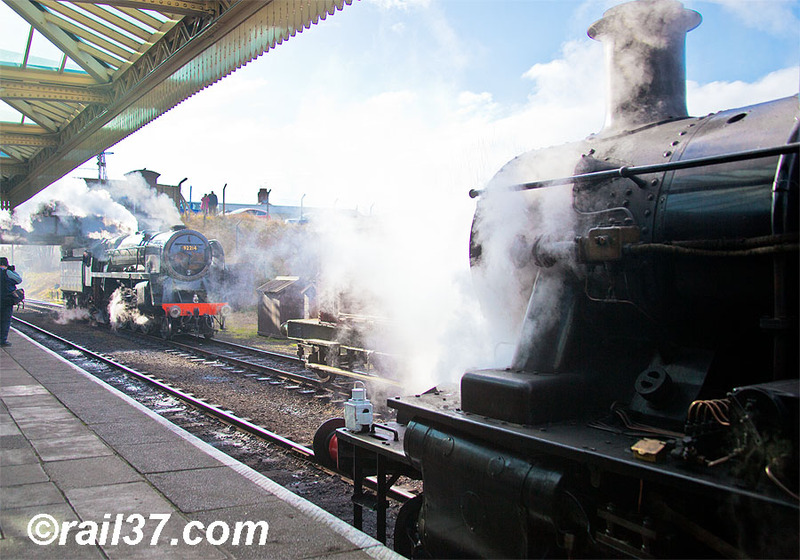 This engine has been "dirtied" for the occasion in order to provide the authentic look of run-down steam from the 1960's as the Army tramps past. 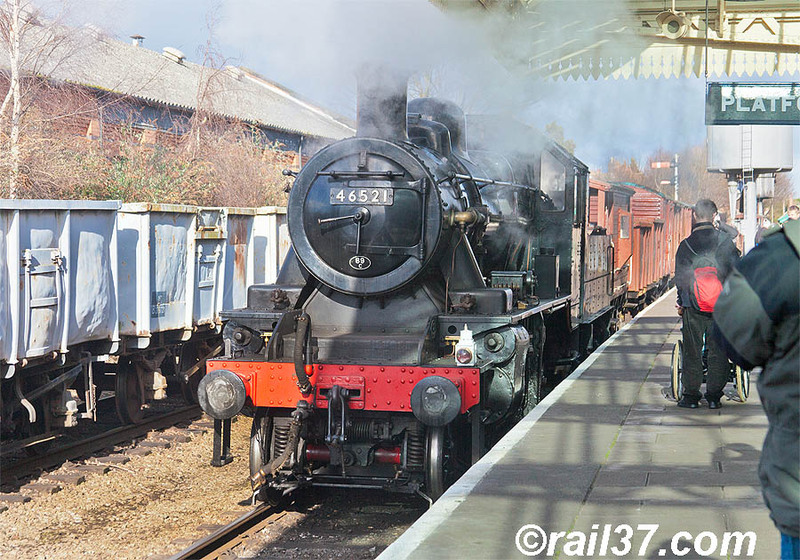 In the shed yard at Loughborough 46521 was attached to the "Windcutter" set.